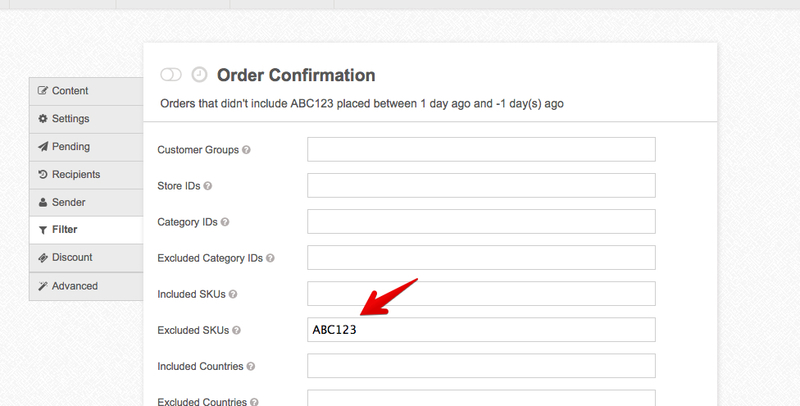 What's the difference between the account-wide SKU exclusion and email-trigger-specific? 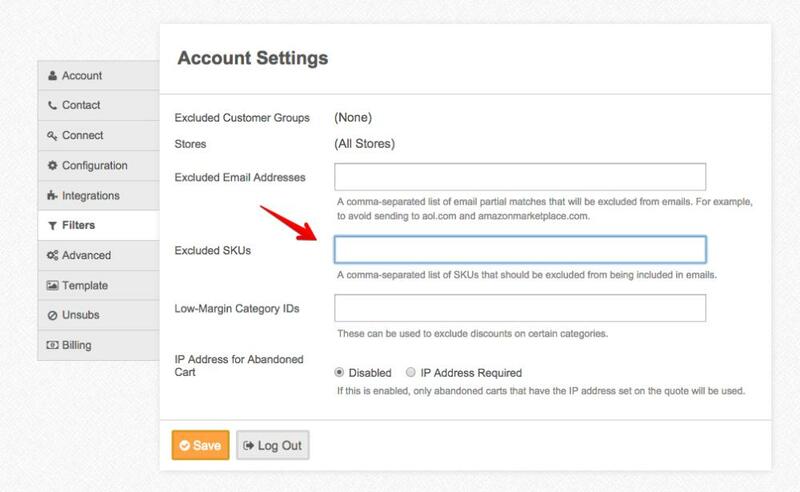 There are two ways that SKUs can be excluded from emails. This will prevent an email from being sent in the case that the email contained that product. This works a little differently - it excludes these products from being included in product grids, but it doesn't exclude emails from going out for orders that included those products. This is useful in the case that you have certain products that get included in orders automatically that you don't want to show up in emails that show the contents of the customer's order. Some merchants automatically add certain products to an order but they don't really want them to show up in the order grid.